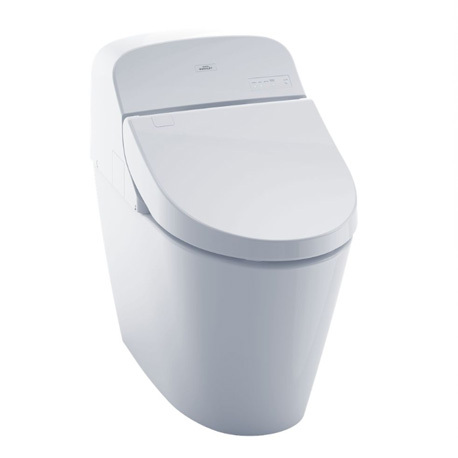 The Washlet G400 features an integrated toilet and a convenient compact design. The 3D Tornado Flush™ system uses an efficient 1.28 or 0.9 GPF. Complete with our CeFiONtect™ ion barrier glaze. The G400 minimizes debris and mold from sticking to ceramic surfaces, keeping your toilet cleaner, longer.